If you are using an LG G7 ThinQ from a US carrier, I’m sure sometimes you might get annoyed with your carrier G7. For example, you might encounter problems with 4G/LTE after updating the firmware, weaker signal compared to other G7 variants, locked SIM if you factory reset your phone using the physical buttons, trash apps and many more. So help you get rid of this trouble, this post today will walk you through a solution to convert your US LG G7 into the global version to bring you the best experience. It’s not a joke! 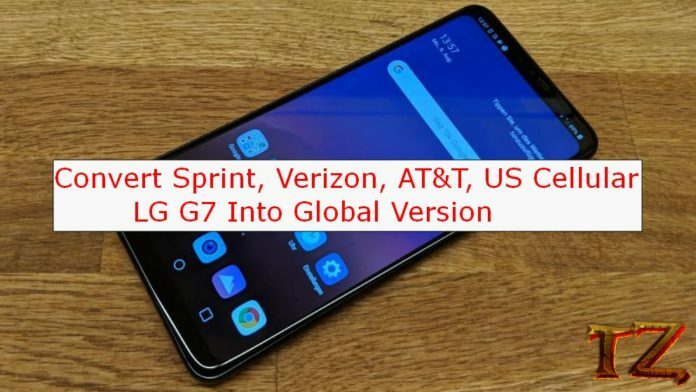 You can turn your carrier LG G7 into a global version. Let’s see! Back up your data first as the process will wipe your phone internal storage. Keep your phone battery at least 50% to avoid unexpected issues. In Process section, tick on PARTITION DL as the image below. In FILE Type section, browse to the patch that KDZ H93320E file you just downloaded above and click on Start.